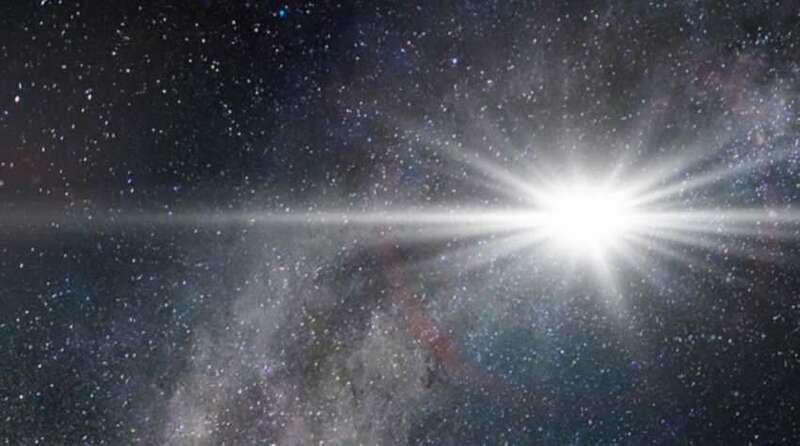 Astronomers have found a massive exploding star “supernova” which is 20 times brighter than our own galaxy Milky Way, according to the research published on Thursday, January 14. The cosmic blast was first spotted on June 14, 2015, in an automated search for supernova’s conducted by a global network of small telescopes. The massive supernova is about 3.8 billion light-years away in a galaxy roughly three times the size of the Milky Way. At its peak intensity, the explosion shone with 570 billion times the brightness of the Sun. In other terms its luminosity level is approximately 20 times the entire output of the 100 billion stars comprising our Milky Way galaxy. According to the scientists a supernova is usually followed by a black hole. Black holes are objects so dense with matter that not even photons of light can escape their gravitational pull. Massive black holes are believed to exist at the centers of most, if not all, large galaxies, including the Milky Way. Astronomers say that ASASSN is the brightest supernova yet.